Dr. Jaswinder Singh is currently an Associate Professor in the Department of Plant Science, McGill University, Canada. 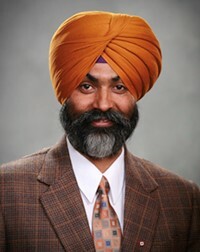 Dr. Singh received his PhD from the University of Sydney and CSIRO Plant Industry, Canberra Australia and did his postdoctoral studies at the University of California Berkeley, U.S.A. His research focuses on the enhancement of quality traits, stress tolerance and bioenergy capability of crop plants using modern genomic, molecular breeding and biotechnological tools. 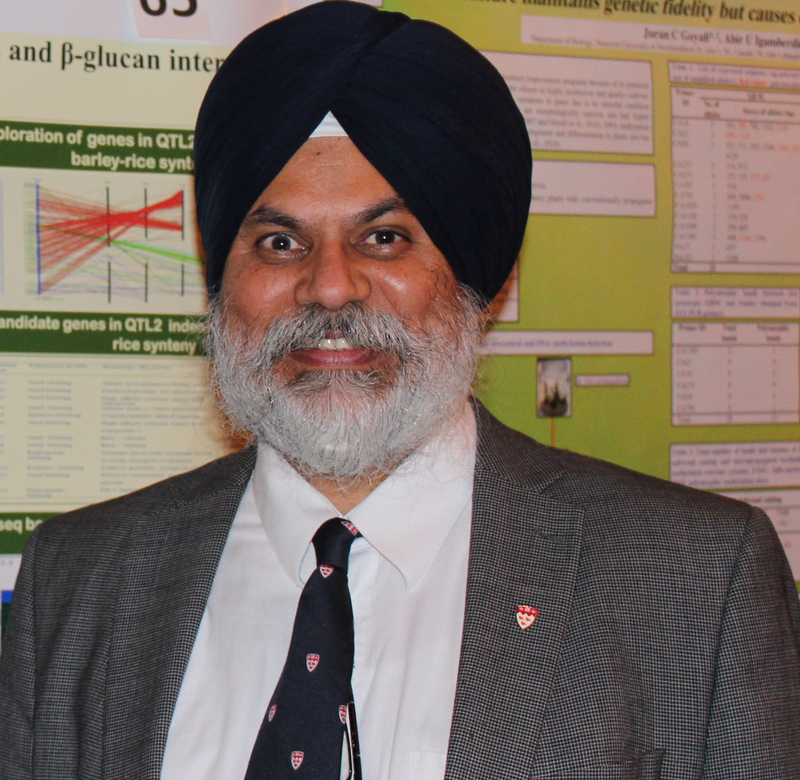 Dr. Singh is an internationally recognized innovator in the use of transposon tagging in cereal crops. His findings have shown for the first time the reversal of epigenetic silencing in plants. Recently, his laboratory discovered a key gene that acts as a switch to determine how a particular plant responds to high humidity and excess rainfall. The research opens up a new epigenetic-based direction for exploration of seed dormancy and Pre Harvest Sprouting (PHS). He has delivered 47 invited talks in international meetings and renowned academic institutes. He has published over 48 research articles in high impact peer reviewed journals, books and conference proceedings. He also presented his research at prestigious conferences and published 78 abstracts. Additionally, he is actively involved in teaching plant breeding, plant biotechnology, genetics, plant biology courses, training graduate students, postdoctoral fellows and lab assistants. To date, he has trained 44 researchers, which include undergraduate, technicians, graduate students and PDFs. Beside this, he is an editor for two international journals (Canadian Journal of Plant Science, PLOS ONE) and a reviewer for numerous granting agencies. He is honored to serve as panel member for various national and international funding organizations including US Department of Energy, and Agriculture and Agri-Food Canada. He has served as Eastern Director of Canadian Society of Agronomy (2010-2012), executive member of International Committee of the American Society of Plant Biologists (2012-15) and executive committee member of International Association of Plant Biotechnology- Canada (2013-2014). He is currently a member of Gleb Krotkov award committee of the Canadian Society of Plant Biologists. In addition, he has successfully co-chaired two prestigious conferences (Canadian Plant Biotechnology -2014 and CSA-CSHS -2016) in Montreal. 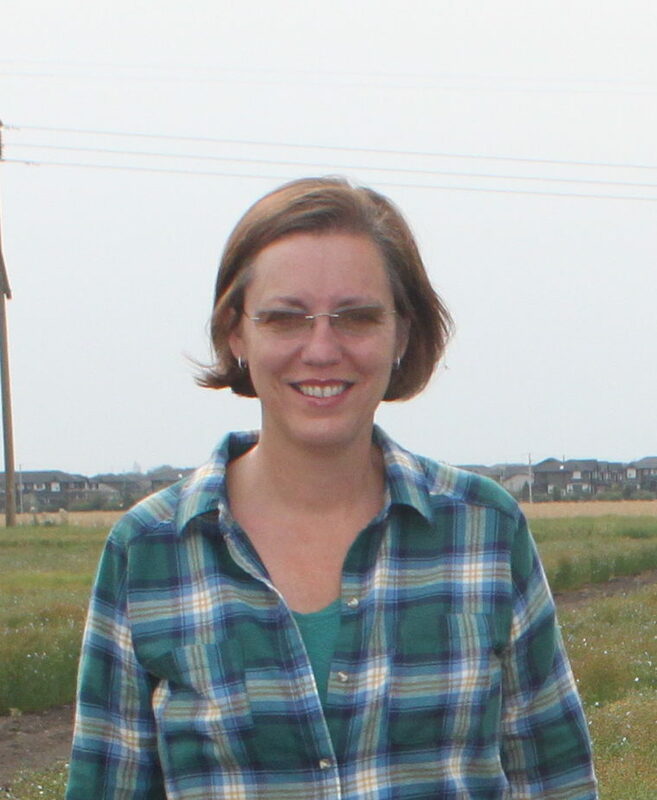 Sheri Strydhorst is a cereal agronomic research scientist, Crops Research and Extension Branch, Alberta Agriculture and Forestry, Barrhead, Alberta. Her work focuses on enhancing the profitability and competitiveness of Canadian agricultural crop producers. Her research program centres on maximizing the genetic potential of cultivars by using cultivar specific agronomic management. She is also an adjunct professor at the University of Alberta – Department of Agricultural, Food and Nutritional Science Faculty of Agricultural, Life and Environmental Sciences. Sheri Strydhorst was raised in St. Albert, Alberta, but now farms with her husband, Shane in Neerlandia, Alberta. She completed her BSc, MSc and PhD at the University of Alberta. Her MSc work centered on developing agronomic practices for low tannin faba bean production and her PhD studied rotational benefits of pulse crops. She then worked as the Executive Director for the Alberta Pulse Growers Commission. Sheri returned to agronomic research in 2013 where her research activities focused on cereal crop agronomy. She works on advanced agronomic practices including: nitrogen fertility, plant growth regulators and foliar fungicides. Her most interesting work involves studying different responses of these agronomic practices on various wheat cultivars. The next stage of her research program is to lead prairie-wide agronomic research on wheat cultivar specific agronomy. 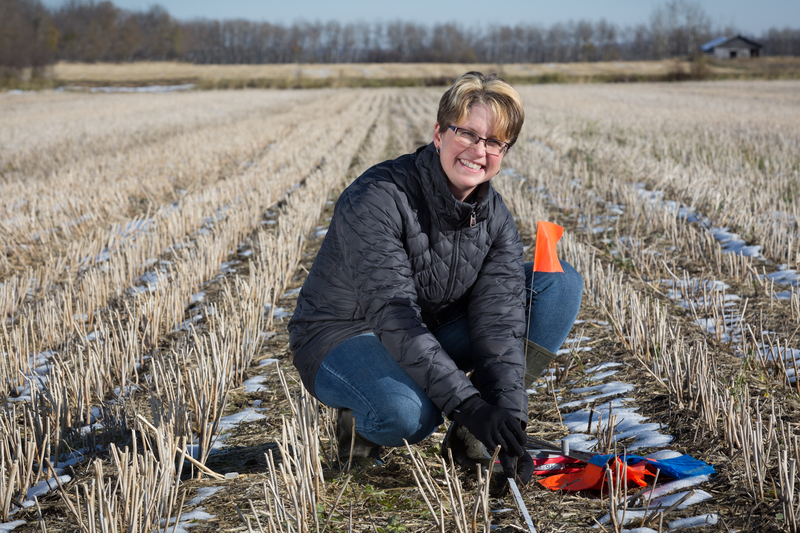 Sheri Strydhorst focuses on extension of her applied research so that it can be implemented on-farm. She has strong partnerships with industry and is currently collaborating with SeCan and Syngenta. Sheri authored or co-authored 7 peer-reviewed papers and has made 47 invited presentations at producer meetings. Currently she co-supervises a graduate student, sits on 2 graduate student committees and serves as an external examiner for numerous graduate student defenses. She is a member of the Canadian Society of Agronomy (CSA) and American Society of Agronomy (ASA). She has been a member of the organizing committee for CSA annual meetings in 2014 and 2015. Doug has been involved primarily with perennial horticultural, forage and now perennial grain and oilseed crops over the past 30 years. I completed my undergraduate and Masters degrees at the University of Manitoba and PhD at Wageningen University, the Netherlands. I have been employed in academia, government and private industry and have worked in both Canada and the United States. I am currently an Assistant Professor at the University of Manitoba with teaching responsibilities at the diploma, undergraduate and graduate levels in the areas of genetics and breeding and agronomy of forage production. The areas of research that I am currently involved in are: herbaceous perennial crop development and agronomy (food, feed and forage); genetics as related to perennial crops; plant developmental morphology as it relates to both crop establishment and productivity; seed production and quality of herbaceous perennial crops; and the utilization of herbaceous perennials in the both agricultural and non-agricultural environments. I am also interested in the utilization of native plant materials for agricultural purposes, both as food crops and for ancillary purposes (e.g. N2-fixation). I have been involved with the Invasive Species Council of Manitoba since 2008 and am currently the vice-chair for 2016-2017. I was formerly the community leader (2013-2014) for the Perennial Grains community of the Global Agronomy section of the American Society of Agronomy. I believe in strong professional societies to foster professional development, for networking and to provide for the development of the next generation of agricultural professionals in Canada. Helen Booker is a flax breeder developing cultivars for production in Western Canada. 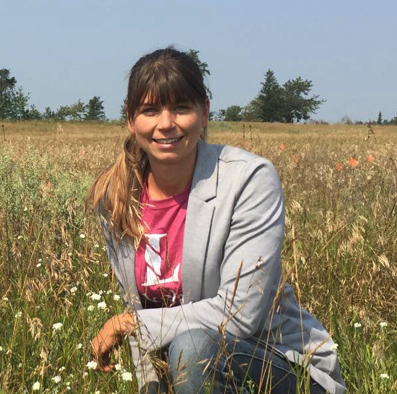 Her research program centres on understanding the genetics of traits of economic importance in flax. She co-developed a course on Tropical Crops of the World and coordinates a course on Global Plant Genetic Resources. Helen Booker was raised in Southern Ontario. She received a BSc and an MSc from the University of Guelph and a PhD in plant science from the University of the West Indies, and completed a post-doctoral fellowship at Canada’s seed bank, Plant Gene Resources Canada (PGRC), Saskatoon Research Centre (AAFC). She then worked as a Research Associate in Cereal Breeding at the University of Alberta. Her move to the University of Saskatchewan in 2009 brought the opportunity to apply her training in plant breeding and experience with other self-pollinating crop plants (legumes and wheat) to the only university-based flax breeding program in Canada. Helen Booker as co-breeder with Gordon Rowland has released five new flax cultivars, including CDC Glas (registered in 2012), CDC Neela (registered in 2013), CDC Plava (first Northern Adapted variety; registered in 2015), and CDC Melyn (first high omega-3 yellow linseed variety) and CDC Buryu (both registered in 2016). Moreover, she coordinates regional pre-registration and Saskatchewan provincial variety testing for flax. Helen has authored or co-authored 19 published peer-reviewed papers, 2 published cultivar descriptions, and contributed to a book chapter. Since 2013, she has worked as an associate editor for the Canadian Journal of Plant Sciences. She has been a member of the Canadian Society of Agronomy (CSA) since 2010 and was the Western Director CSA 2012-14. She was also on the committee for CSA Awards in 2013. She holds the Saskatchewan Ministry of Agriculture (SMA) Strategic Research Program (SRP) Chair for the Flax Program and, since her appointment, has served as a director at large on the Board of the Flax Council of Canada (FCC) and as a Scientific Advisor to the SaskFlax Development Commission (SFDC). Harpinder Randhawa is a spring wheat and triticale breeder working at Lethbridge Research and Development Centre, Agriculture and Agri-Food Canada. 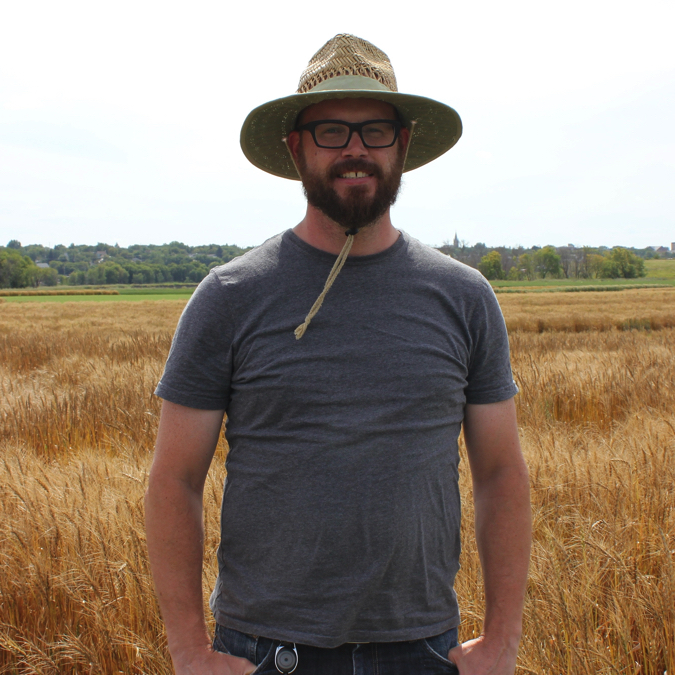 His prime focus of research is to develop spring wheat cultivars that have better agronomic performance, excellent end use quality and resistance to various biotic and abiotic stresses in western Canada. He has developed eight high yielding spring wheat cultivars and co-developed four high yielding triticale cultivars for general production in western Canada. Dr. Randhawa’s Wheat Breeding program is funded through a unique P4 partnership involving Alberta Wheat Commission, Canterra Seeds and AAFC. His other research interests include the identification of new sources of disease resistance in wheat, genetic mapping of important traits, doubled haploid production, and developing new breeding tools to enhance efficiencies. His passion for wheat breeding developed during his childhood while he grew up and worked alongside his parents on the family farm in Punjab. He obtained his B.Sc Agriculture (Hons) in 1990 and M.Sc with a specialization in Plant Breeding in 1993 from Punjab Agricultural University, Ludhiana. In 1994, he was appointed as Assistant Rice breeder at the Punjab Agricultural University where he was part of a team whose objective was to develop high yielding cultivars of rice. He completed his PhD in Plant Science at the University of Saskatchewan, Saskatoon, Canada in 2002 and then worked as a post-doctoral Fellow at the Washington State University, Pullman, USA. Dr. Randhawa focused his research to develop new wheat genomics tools, novel strategies for rapid introgression of traits using marker assisted backcrossing, genetic and physical mapping of agronomically important traits in wheat and eventually developing improved wheat cultivars. Since 2007, Dr. Randhawa has been working as a spring wheat and triticale breeder with Agriculture and Agri-Food Canada at the Lethbridge Research Centre, Alberta. Laurel Thompson is an agronomic research scientist in NE Alberta. Her work focuses on agronomic solutions to increase cereal production and profitability, and has recently grown to include pulse crop research. Laurel explores interactions between cereal genetics, agronomic management practices, and the environment to assist producers in making targeted agronomic decisions. She has also taught the fungicide physiology component of the PlSc 470 undergraduate course at the University of Alberta since 2016, and she provides teaching support for faculty in the Crop Technology program at Lakeland College. Laurel Thompson was raised in Slave Lake, AB, and now farms grain and cattle with her husband, Duncan, in Mannville, AB. She completed her BSc and MSc at the University of Alberta. Her MSc work centered on assessing advanced agronomic practices for maximizing feed barley production, and on the interactions between feed barley genetics, advanced agronomic management, and the environment. 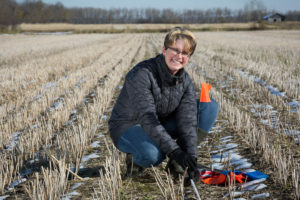 She began her role as Research Scientist at Lakeland College in the spring of 2016, where she led the development of a brand new small-plot research program there. The program grew quickly from 300 plots in 2016 to 1,500 plots in 2018. Since 2016, Laurel has developed the new research program to include cereal and pulse agronomy and varietal performance, and a strong extension component to local crop producers and industry. Recently, her work has focused on wheat and malt barley responses to various mixtures of plant growth regulators. Laurel Thompson has developed strong partnerships both university and government researchers, and with industry. Current industry collaborators include Mosaic, Syngenta, SeCan, Engage Agro, and Anuvia. Laurel is the lead author on 3 peer-reviewed papers and is a member of the Canadian Society of Agronomy (CSA) and American Society of Agronomy (ASA). conserve or enhance soil fertility through efficient nutrient cycling and management strategies to maximize nutrient use efficiency and maintain optimum economically sustainable crop productivity with minimize damage to the environment. Waste/manure management for P uptake in plants, sustainable agriculture, abiotic stress management strategies to induce stress tolerance using innovative agronomic interventions, estimation of greenhouse gases emission and mitigation strategies in different cropping systems. His research group is also monitoring in-situ root morphological traits, root exudates and their role in enhancing nutrient use efficiency. He has authored four book chapters/monographs and published more than 86 research articles in refereed journals. He participated and presented his research at several International conferences in US, UK, Canada, Australia, Germany, Sri Lanka, and India. He is actively involved in teaching of undergraduate and graduate courses and training of graduate students, postdoctoral fellows and lab assistants. Dr. Cheema has supervised 36 MSc, and 16 PhD (supervised and co-supervised) theses. Currently, he is graduate officer of Boreal Ecosystems and Agricultural Sciences (BEAS) program and supervising or co-supervising 7 MSc and three PhD students. He also worked as visiting scientist at Dalhousie University Agricultural Campus, Truro, Nova Scotia. 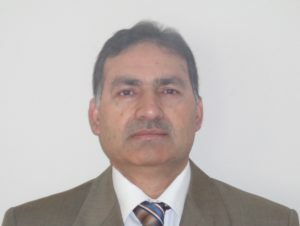 Before joining Grenfell Campus, he was a Professor in agronomy, and Director graduate studies at University of Agriculture, Faisalabad, Pakistan. focussed on inbred development and worked as a research associated in a dry bean breeding program before joining AAFC in 2014 to direct spring wheat breeding programs for the Northern and Eastern Prairies while based in Brandon MB. In 2018 Andrew relocated to Ottawa to focus on breeding for Eastern Canada. To this point of his career, Andrew has participated in the release of 44 maize inbred lines, five dry bean cultivars, and gained support to register six wheat lines; he has authored and co-authored 19 peer reviewed research papers, and five published cultivar descriptions. Since 2014 he has worked as an associate editor for the Canadian Journal of Plant Science. 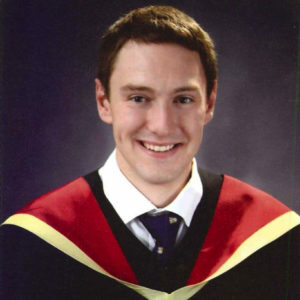 Caleb Niemeyer completed a Bachelor of Science in Agriculture in 2017 from the University of Guelph, majoring in Crop, Horticulture, and Turfgrass Science. During the summers between years of university he worked for Reesor Seed and Grain, a farm input supplier in Stouffville, Ontario and Pioneer as a Technical Sales Intern based in Guelph, Ontario. As an undergraduate, he was a research assistant in the lab of Dr. Manish Raizada working on improved plant nitrogen tests and nitrogen fixation in legumes. He began his MSc in Plant Agriculture in 2018 under the supervision of Dr. Bill Deen at the University of Guelph and is the recipient of an NSERC Canada Graduate Scholarship. His research focuses on improving corn nitrogen fertilizer recommendations using rainfall effects on crop nitrogen demand. Dr. Beres is a research scientist at Agriculture and Agri-Food Canada’s Lethbridge Research Centre in Alberta. Dr. Beres started his career path as a teacher in southern Alberta after obtaining Bachelor’s degrees in Education and Geography. However, the allure of scientific research, which he was exposed to as a summer student at AAFC, inspired him to change career paths whereupon he obtained a Master’s and PhD from the University of Alberta. Dr. Beres established an agronomy program in 2000 and leads several multidisciplinary projects developing innovative and integrated crop management systems. Dr. Beres publishes in the areas of agronomy and crop science and has been the author or co-author of 46 peer-reviewed research articles and 1 book chapter. He is a member and President-elect of the Canadian Society of Agronomy, active member of the American Societies for Agronomy, Crops and Soils, and currently serves as an Associate Editor for the Canadian Journal of Plant Science. Dr. Beres and his co-authors were the recipients of the 2013 Canadian Journal of Plant Science Best Paper Award. He maintains close ties with both producer organizations and several national and multinational private companies that have a stake in crop production systems and life sciences research. Dr. Beres has several international collaborations and represents Canada on the Research Committee of the International Wheat Initiative. Dr. Beres is the past-Chair of the Prairie Recommending Committee for Wheat, Rye, and Triticale and led this cross-sectorial group through a review of the current registration process to ensure any impediments to the pace of delivering new genetics to the marketplace were removed.